Privacy Glass: The Lakes by Yoo Project | Smartglass Intl. Set amongst 850 acres of woodland, meadows and lakes, the Lakes by Yoo is a 5 star, luxury development of second homes in the Cotswolds, just 90 minutes outside London. With interiors designed by Kate Moss, Elle MacPherson, Jade Jagger and Kelly Hoppen, Phillipe Starck & the Yoo Studio the Lakes are a gorgeous design-led holiday destination. Whether set in woodland or by water, all of the homes combine sustainable contemporary design with country house luxury. Better still, the homes are shaped by the client’s ideas. 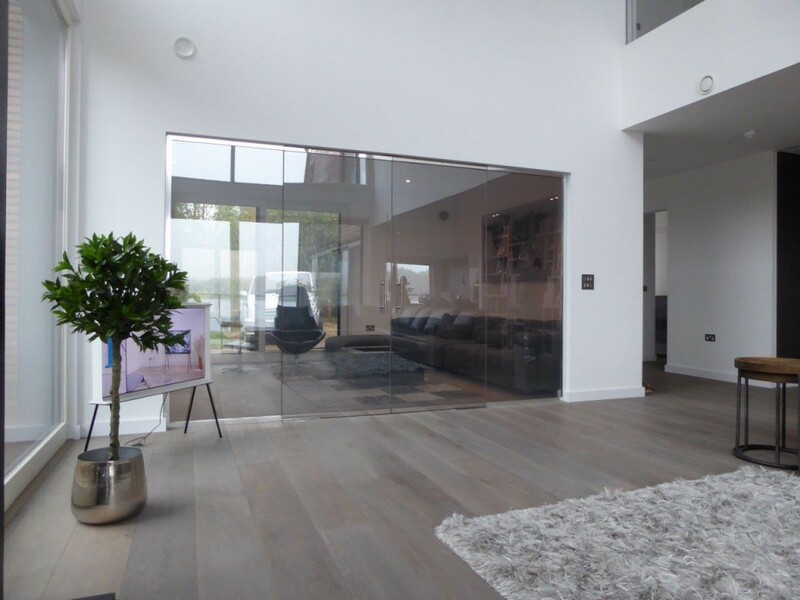 By selecting or adapting a layout from the design portfolio or working with an architect to realise a personal vision, clients can add their own individual stamp to their residence including switchable glass technology. 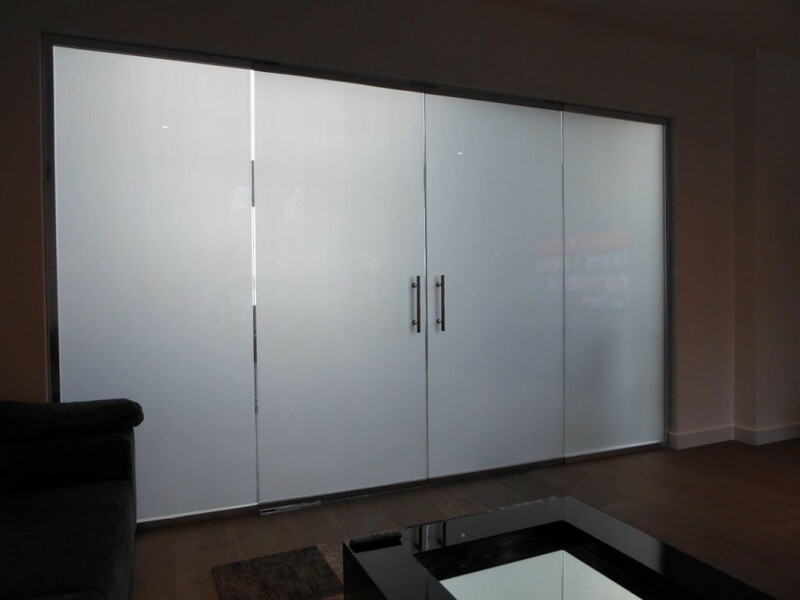 Smartglass International alongside Koru Glass were commissioned to design, supply and install a Privacy Smartglass screen between an open plan living area and TV Room. The screen comprises of a set of double swing doors on floor spring control with fixed panels either side. 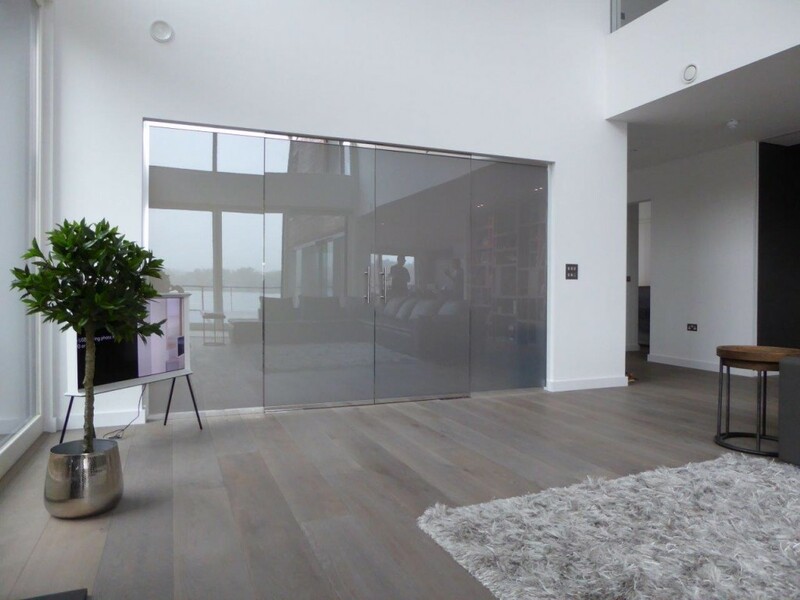 This Privacy Smartglass screen enables the home owner to continue the open plan living layout throughout the ground floor of the property which comprises of kitchen dining area, living space and TV room. At the flick of a switch the home owner can create total privacy and have the feeling of their own personal cinema space. This entry was posted in Smart Glass News and tagged Electronically Switchable Glass, Privacy Glass, switchable privacy glass. Bookmark the permalink.